As is true in many fields, education researchers now have unprecedented access to large public data sets, and new methods and tools for analyzing that data. What does this mean for the kinds of questions you can ask when you are interested in, for example, recruiting administrators in small rural districts in Texas, or understanding the impact of spending money on metal detectors versus school counseling services? And how do you avoid getting overwhelmed by the sheer volume of available data? A Newscenter series on how Rochester is using data science to change how we research, how we learn, and how we understand our world. 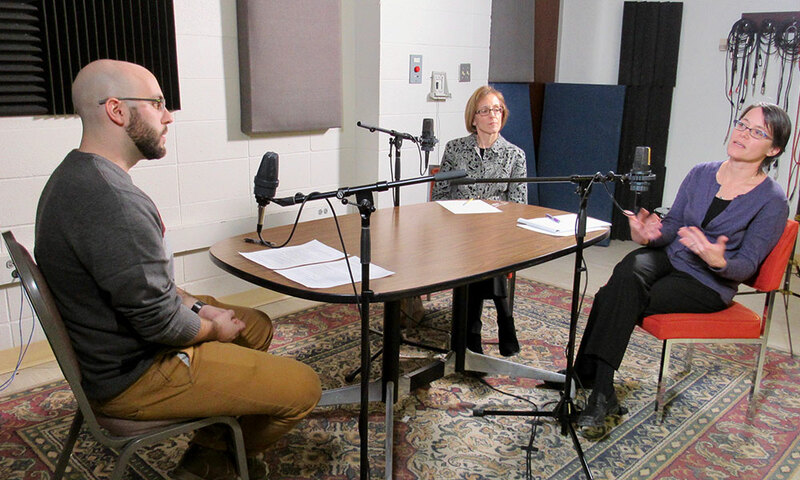 In this episode of the QuadCast podcast, Nick Bruno ’17 talks with two researchers at the Warner School of Education who are using data science to understand the challenges facing K-12 education, both here in Rochester and around the country. Kara Finnigan is an associate professor and director of the Educational Policy Program in the Warner School’s Educational Leadership Program. Her work focuses on education policy, and her research projects include a social network analysis that visualizes the structural—often geographical—disconnects that can happen between school leaders and central district leaders and the impact these disconnects have. Karen DeAngelis, is an associate professor and chair for academic programs in the Warner School’s Educational Leadership Program. She brings an economics background to her education work, and her research questions focus on the allocation of resources, both financial and human. Having access to large data sets that show this kind of information at the district, state, and national level helps her identify patterns and trends. She is currently working on a project to analyze survey data from teachers, non-teaching staff, students, and families at Rochester’s East High.